This week I've become friends with my sewing machine again. I gave my Husqvarna sewing machine a dust off, cleaned out all the fluff and changed the needle. For some reason i thought it was really difficult to change the needle on a sewing machine. 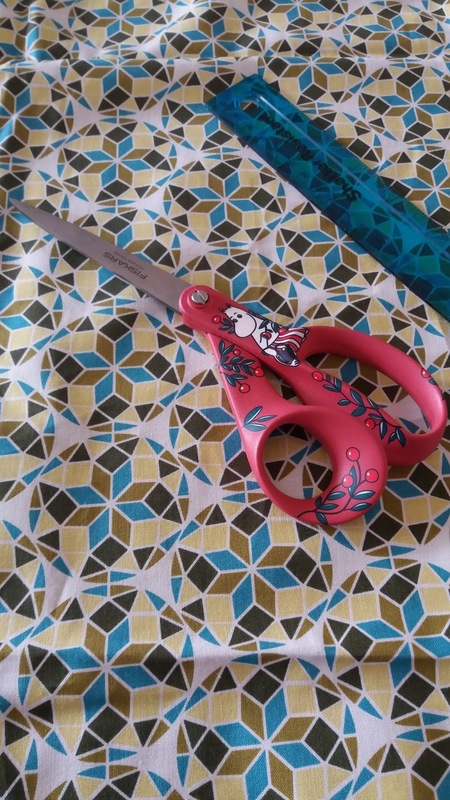 I had visions of me not putting the needle in right and the needle flying at my face when I started sewing. None of that happened, it was just fine. Followed the instructions, new needle, no problem. 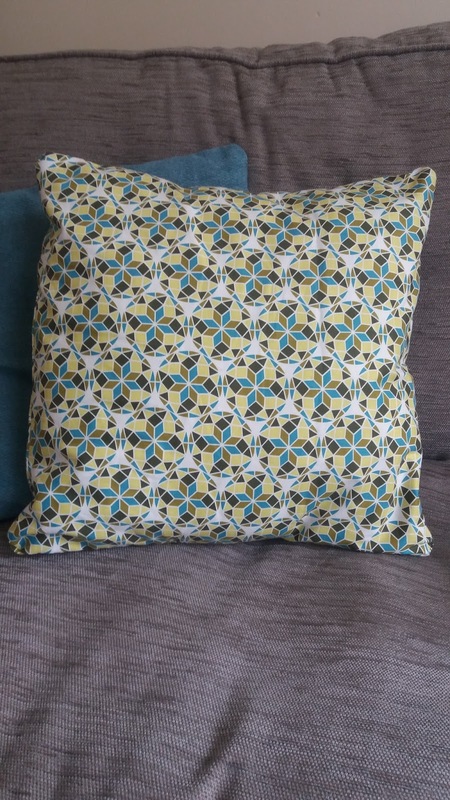 I Found this gorgeous geometric fabric to make cushion covers for my sofa. I know what your thinking.... Those scissors are awesome! I decided to make a simple envelope style cushion. Easy to make and easy to wash. 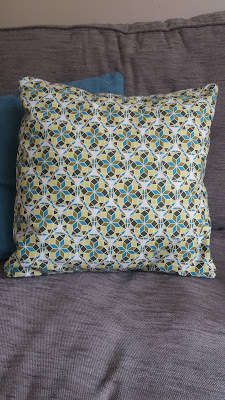 I made the cushion cover an inch smaller than the cushion pad making it a little bit more plumper. I'm very pleased with the finished product. Time to relax on the sofa now.